Fans of the Green Bay Packers calling for the termination of Mike McCarthy surprisingly got their wish on December 2, 2018. The 2018 season was going in the wrong direction. Like the past few seasons the offense was stagnant and suffered from poor execution, injuries had taken their toll in key positions, and the future Hall of Fame quarterback wasn’t looking like himself. All things considered it wasn’t surprising to see McCarthy let go, but it was surprising it happened before the season ended. 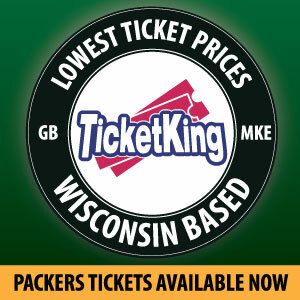 Less than a year after parting ways with general manager Ted Thompson the firing of Mike McCarthy made something very apparent: the Green Bay Packers were moving on and starting a new era at 1265 Lombardi Ave.
Last week team president Mark Murphy and general manager Brian Gutekunst introduced Matt LaFleur as the 15th head coach of the Green Bay Packers. During the introductory press conference LaFleur, Murphy, and Gutekunst talked about their vision for the future. Major talking points included avoiding complacency, bringing accountability back to the organization, innovating and evolving the offense, and winning championships. In a not-so-subtle way, the triumvirate was calling out the major criticisms of the last regime. While Thompson and McCarthy won Super Bowl XLV together, Murphy wasn’t going to let past success cloud his judgment of the recent mediocrity. Last year, Murphy changed the power structure of the team, with both the GM and HC reporting to him: another significant change. 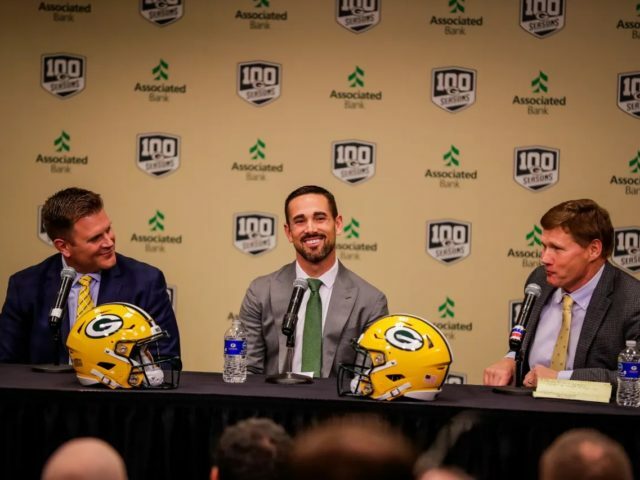 LaFleur’s hiring is symbolic of the theme of the 2019 Green Bay Packers: moving on and winning championships. No matter what you’ve accomplished in the past, if you can’t help bring a Lombardi back home its time to move on. In the past week the Packers fired long time defensive backs coach Joe Whitt Jr. and special teams coordinator Ron Zook, and allowed offensive line coach James Campen to sign with the Cleveland Browns. Interim head coach and former offensive coordinator Joe Philbin is likely gone. Many more coaching changes are sure to follow. 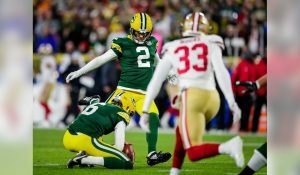 Whitt and Campen in particular were well respected and part of the team for a long time, but the organization wants a fresh start and will move on from coaches with ties to McCarthy. While defensive coordinator Mike Pettine will remain, he has only been part of the organization for a year and isn’t a McCarthy lieutenant. Players won’t be immune either, no matter their past accomplishments. We won’t know for sure until free agency starts but free agents and fan favorites Randall Cobb and Clay Matthews could likely be gone as well. Both Cobb and Matthews have been team staples for years and have their share of heroic moments, but their production has slowed due to injuries or age and it would be unsurprising for the team to move on from both. Gutekenust already showed he isn’t afraid to move on from players when he released beloved wide receiver Jordy Nelson along with many under-performing Thompson draft picks. I’m loathe to use the term “rebuild” on a team with Aaron Rodgers still under center. However, the “soft reboot” done over these past two offseasons is sending a new message throughout the organization. From the top positions in the franchise, to the assistant coaches, to the players: if you aren’t winning Super Bowls we will move on. For better or worse, the Green Bay Packers, a team steeped in history, are looking to the future and unafraid to move on from relics they feel are stuck in the past. 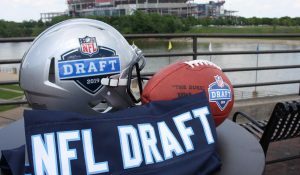 This entry was posted in Authors, Matt Hendershott, Packers 2018-2019 Season and tagged 2019 season, Brian Gutekunst, Green Bay Packers, mark murphy, Matt LaFleur. Bookmark the permalink.